Corn (Zea mays) was originally a grass domesticated in what is now Mexico. It has taken over four thousand years of seed selection by hand to give us the high yielding diverse varieties we take for granted today. We grow a variety called Wapsie Valley, which is a dent corn (kernel has an indentation in it when mature). 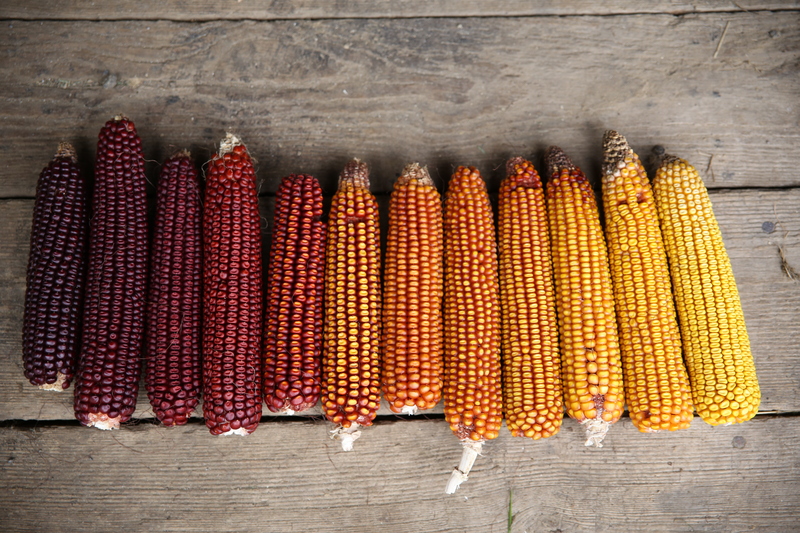 It’s yellow and maroon colors are very beautiful and make a great corn meal.